Last night I had to admit I’m a fairy. My daughter looked at me dubiously. A sustained campaign of Gin and chocolate do not a waif-like woman make. But I fluttered my invisible wings and confessed, a fairy I have been, and will continue to be. I always thought adulthood began at 18. But on this, like many things I am learning as I get older, I was wrong. Becoming an adult is a long stairway with many steps that begins much earlier and lasts much longer than a day on a calendar when you are handed your first legal drink and a driving licence (now there’s a worrying contradiction). One thing the Sandwich Years has taught me is that there is still an awful lot of growing up to be done. Last night the fairytale ended, and grown up life began for my eldest daughter who is almost ten. She has asked me several times over the last year or so is the Tooth Fairy real. There are many terrorising moments in parenting – worms, Vesuvius flowing diarrhoea, three year olds finding your entire nail varnish collection and painting the carpet – but this has been the one I have dreaded most. So I’ve deftly deflected, careful not to lie directly, but deflected all the same. I don’t know for whom I was more scared of the truth being out – her or me. The whole Santa / Fairy thing has always sat a bit strange with me. In principle I hated lying, but in theory I loved seeing their delight. And I embraced the lies with a gusto that beggars belief. But now my eldest is realising the fairytale of life is not so clearcut, and I brace myself for all that she will discover and face. So last night, I decided to help her take a step up that stairway. Now, more than ever, she needs to know I will always tell her the truth. So I stepped up a step myself and sat down on her bed. We’ve already done ‘the talk’ and we all survived. Somehow this scared me more. So I don’t remember the death of the dream, and I’m hoping this is just another step up that stairway to adulthood for her, and one from which the new perspective of height can give her a good view of her childhood. My little girl is growing up in so many ways, and part of growing up is learning the depth and strength of your own resilience. I don’t remember crying when I found out the tooth fairy wasn’t real, but I do remember the first time I cried alone. I remember being a child, about my daughter’s age, standing on the darkened landing outside my bedroom door. I had been asleep, or perhaps couldn’t sleep and I was scared and wanted comfort. But something stopped me. I leant over the landing bannister as the sounds of mum and dad’s TV filtered up. I don’t know why I needed comfort or why I decided not to call down…. I knew my mum would have been straight up to me. But I decided to face it alone. I cried out for my mum but not loud enough to be heard. I have often thought of that little girl – and is that were I first learned my resilience? Is that where it began? Resilience I would have to lean on and build on time and time again in my life? And will my little girl start to cry and one night I won’t hear her and in doing so she will realise that despite being so loved, she is in fact alone? And once she understands that, she can start to build herself? Resilience is one of the greatest gifts I can give my girls. That, and the knowledge that they are so loved. Lessons I learned as a child. I am alone. I can’t call my mum – she can’t help me now. I can’t call my husband – he won’t help me now. I have lots and lots of friends to call… And they would and could comfort me. But sometimes I need to know my own resilience. To stand alone at the top of the stairs and cry and realise it is down to me. When I told my daughter the truth about the tooth fairy I pre-empted it with two pieces of advice. The first was to know that while she grows up – through all the scary and exciting things that growing up entails, I will be by her side. My mum stayed by my side long after I left home. Through all my growing up in my 20’s and 30’s, and becoming a mum myself, she still helped me up each step of adulthood. I could cry alone because I always knew she would come if I called out loud enough. And so I realised I didn’t become a real adult, I didn’t take the final step until the moment I realised she could no longer come. I am on the last step. My mum has left the staircase and is letting go of life. The magic she always kept in her eyes is dimming. The love is still there but it is tired. The smile still smiles, but not as wide. She is done crying alone, and she is done with being grown up. And that’s ok. My role now in the sandwich years is to finally step up and be the grown up at the top of the stairs. And so as mum lets go, I reach out my hand and start to help my daughter on to her first few shaky steps. She has a long long long way to go, but as I told her last night I will be by her side as long as I can. The second piece of pre-emptive advice I gave her last night before I told her the truth, was that a certain responsibly comes with growing up. The experiences, knowledge and things she has as a result of stepping up and onto that adult staircase are for her, and she has a responsibility to make sure her little sisters, and younger friends, don’t step up before they are ready. She liked that. She liked that she was being trusted. She liked stepping onto the stairway. And then I told her to ask me again. Ask me the questions she need answers for. “Is the Tooth Fairy real?” she mumbled, half excited, half scared. I told her I believed in magic and that life has an amazing way of delivering beauty and glitter and as a result, I can’t say for sure that ‘fairies’ don’t exist. 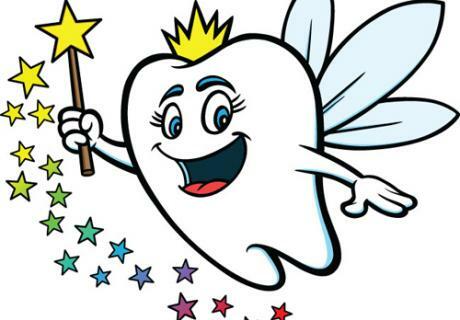 But the Tooth Fairy does. I know, because it’s me. She looked at me dubiously. All that Gin and chocolate. All that, you know, height. I told her I was the one who took her teeth to keep them safe. I explained it started as a way to give her comfort when big changes were happening in her life and like I said, I would always be by her side, as she goes through all the stages of growing up. It will take many forms, my support, and this form just happened to be a fairy. As I left her in the fairly-light lit dark, I wondered just how long I can be with her. In a desperate attempt to meet my mortality head on, I bought a Nutribullet last week, and whizz up a cocktail of kale and spinach and pear and kiwi every day just to make sure I can get her up as many steps as possible before it is time for me to leave the staircase and she finally reaches the top step of adulthood.